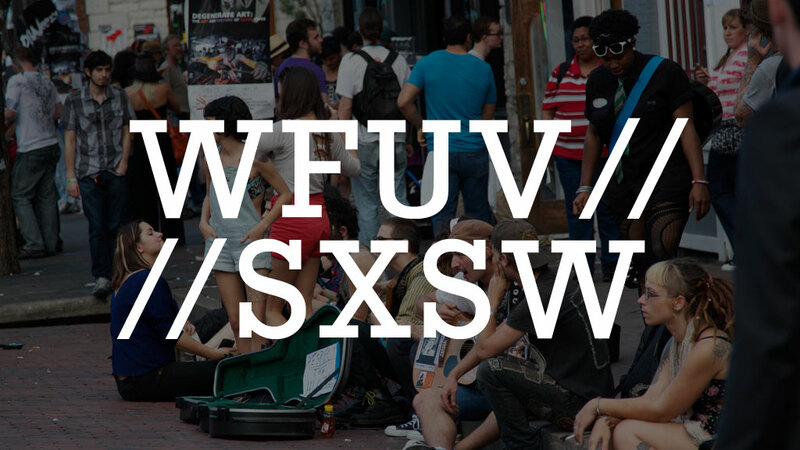 Team FUV wouldn't miss our annual trek to the South by Southwest (SXSW) festival in Austin, TX every year. We try to mix things up each time and bring you the best new music we can find, wherever it pops up. This year we also spent a full day at the South by San José gathering (SXSJ, of course) on South Congress Street, next to our base at the Hotel San José. 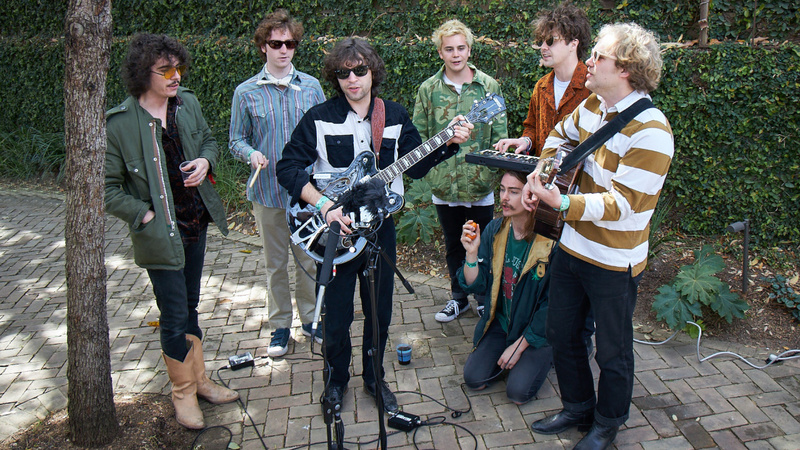 This seven-piece band of twentysomethings is a total throwback. Fun is the name of the game here, as you'll see in this laid-back, stripped-down, and air-drummed version of "Chevrolet Van" from the Hotel San José courtyard during SXSW. The Brooklyn-based Barrie has been together for a relatively short period of time, but the band has created a good amount of buzz with their dream-pop sound. With their debut album out in May, this performance at Hotel San José (wine bottle percussion and all) during SXSW offered a preview. Kevin Patrick has been making music for a few years under the moniker Field Medic. 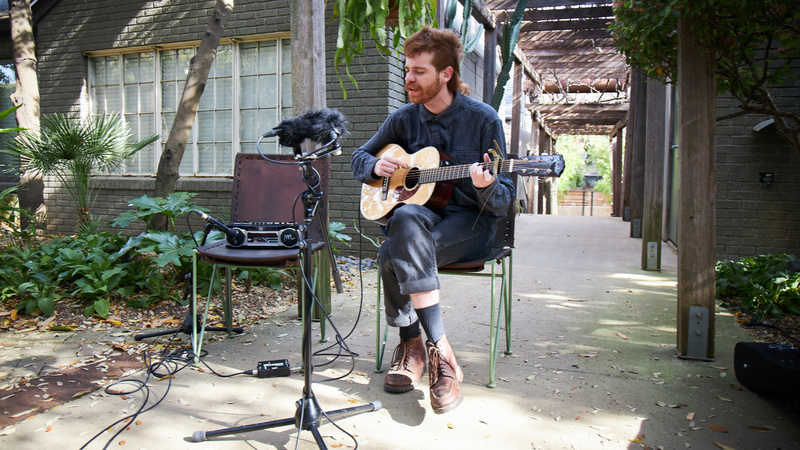 Ahead of the release of his new album, Fade Into the Dawn, he performed for FUV in the Hotel San José courtyard during SXSW with a boombox and cassettes as a backing band. 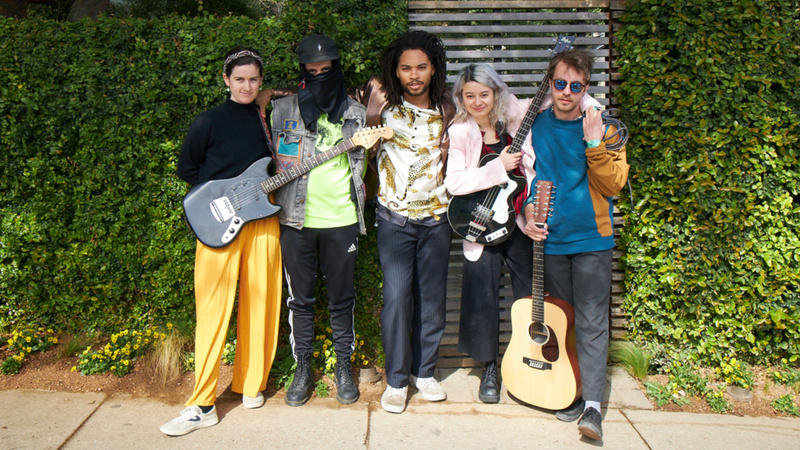 Black Pumas won "Best New Band" honors at the 2019 Austin Music Awards, so FUV wanted to make sure you got to hear these hometown faves while we were in Austin too. At the core is the collaboration of producer/guitarist Adrian Quesada and singer-songwriter Eric Burton. 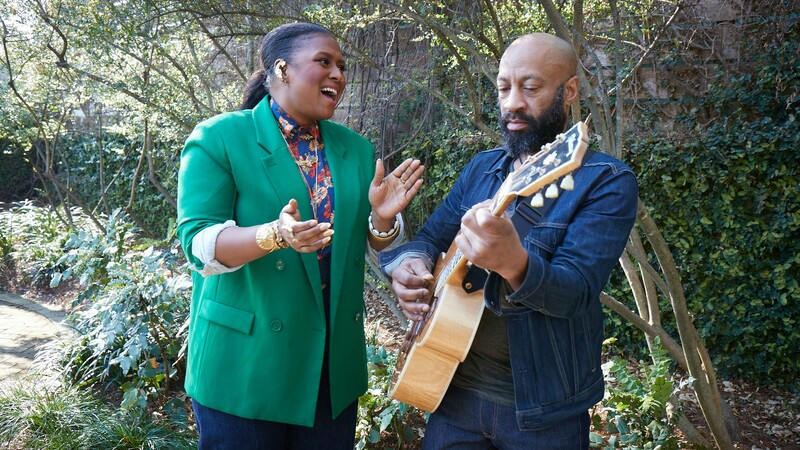 Add horns, back-up singers, and moves, and this is a modern soul sound from a band to watch. 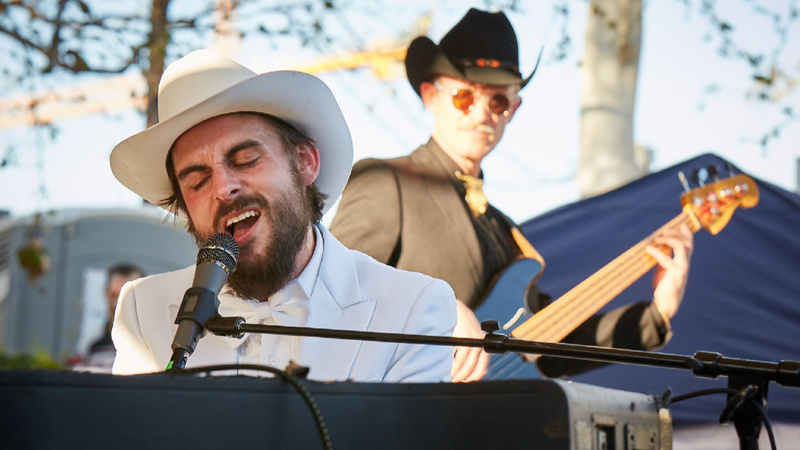 We've met Robert Ellis before, as a solo artist and as part of Traveller, but he's now emerged as the Texas Piano Man. Although the album brings a new sound and style, it also feels like Ellis is sounding more like himself than ever, by both embracing his Texas roots and redefining them. And all in a white tuxedo. 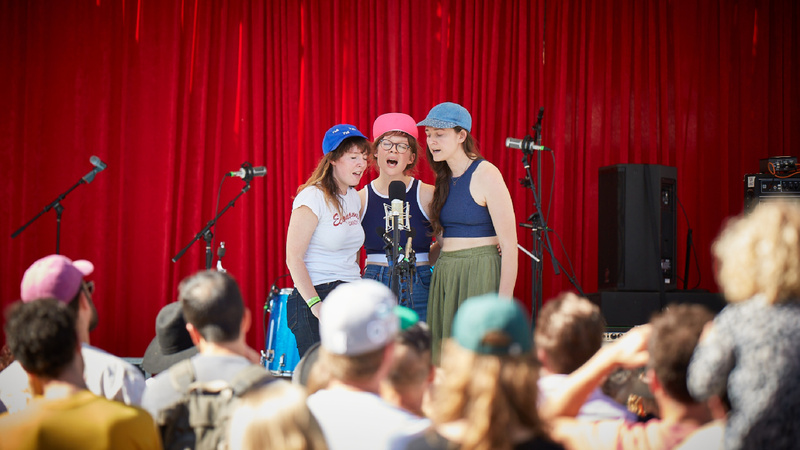 The three voices in Mountain Man have traveled in different directions since their 2010 debut, but fortunately their musical paths have once again aligned. Harmonies (and humor) result when that happens, and at South x San José, FUV was not only treated to songs from the trio's latest album, Magic Ship, but also the pure chemistry that continues to bring Molly Sarlé, Alexandra Sauser-Monnig and Amelia Meath together as this self-described "aggressively quiet" band. 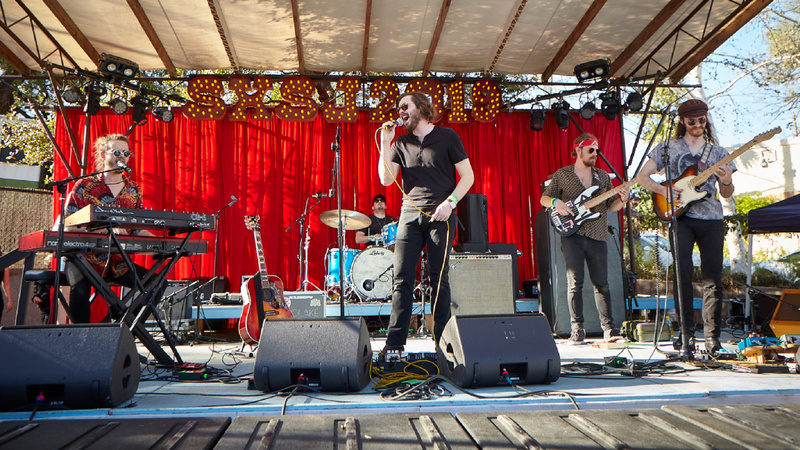 Eric Brandon Pulido has visited FUV before with Midlake and BNQT, but now the Texas native is stretching out — not only solo, but under a new name: E.B. the Younger. Rather than hide behind his alias, Younger finds it provides even more freedom to expand his rock roots. The result is his brand new solo album, To Each His Own. South by Southwest is a mix of conference and craziness that takes over Austin, Texas every March. Discovery is always a big part of the experience — on the interactive media and film fronts too — but it's the "music + discovery" part of the equation where FUV fits right in. 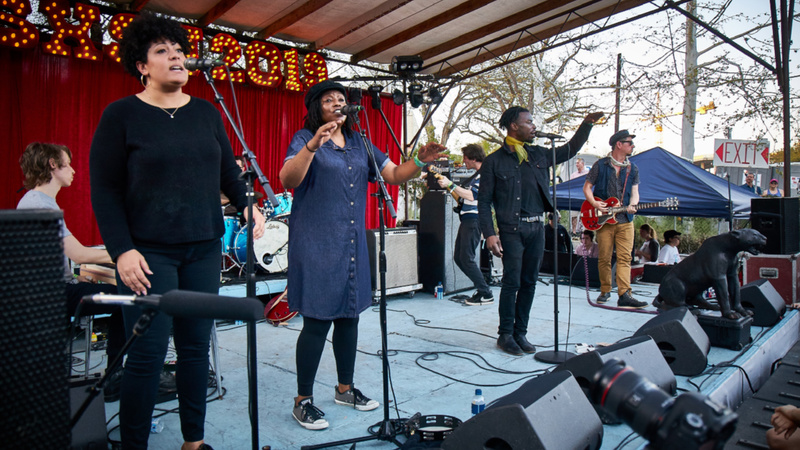 As always, there's a ton of live music too, and here are the results of what we headed to SXSW to share with you. While music and the arts are clearly in Deva Mahal's bloodline — her parents are the blues legend Taj Mahal and dancer and educator Inshirah Mahal— this singer and songwriter possesses her own style and voice. And what a voice it is. Her Hotel San José performance of the song "Shakes" featured the voices of several grackles too, as well as the familiar guitar chops of Binky Griptite.